Retold by Sean Taylor & Khayaal Theatre, Illus. Shirin Adl. London: Otter – Barry, hb. 978 1 9109 5930 5, 2018, £12.99, 48pp. The Mulla Nasruddin – or as he is sometimes known, the Hodja – is a character who appears across the Middle East (and indeed further afield). He has his counterpart, perhaps, in the Jack of Western Europe or the Rabbi in Yiddish tales. He is a bit of a trickster and will almost certainly make you laugh but also think. 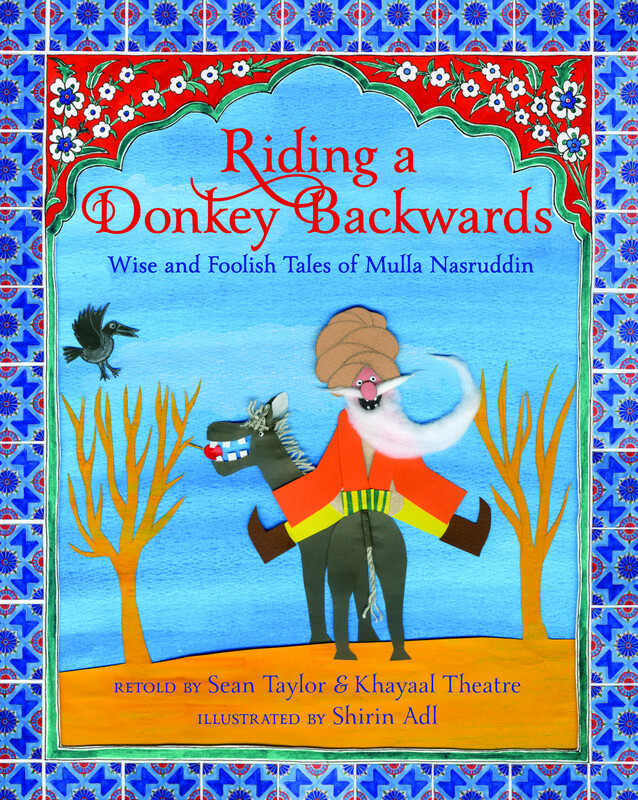 Khayaal Theatre have been introducing Mulla Nasruddin to their audiences through performance and storytelling – and these are stories that cry out to be told and retold; always short and with a great punch line. It is refreshing to meet him here in this attractive edition in which Sean Taylor, himself a storyteller, has collaborated with Khayaal Theatre to select some of the liveliest tales. Here you find out how the Mulla reacts to being robbed or when he loses his donkey, how he manages when he finds himself without money and yes, why he is riding his donkey backwards. Read these stories to yourself and enjoy Shirin Adl’s vibrant, engaging illustrations that bring the Mulla and his world to life capturing the quirkiness and humour of each tale. Even better, read these stories aloud and watch your audience, young or old, move from a slight puzzlement to a full appreciation of the jokes. Here East meets West in the best possible way. This is a book to share.